Links Modular Solutions is proud to present the latest innovation in direct debiting, LinksGateway, brought to you by Debitsuccess. This enhanced solution will increase your data security, reduce your onsite administration hours and improve your collections. What are the benefits of LinksGateway? Payment status relationship to GL reports – no more assume paid and reversals! 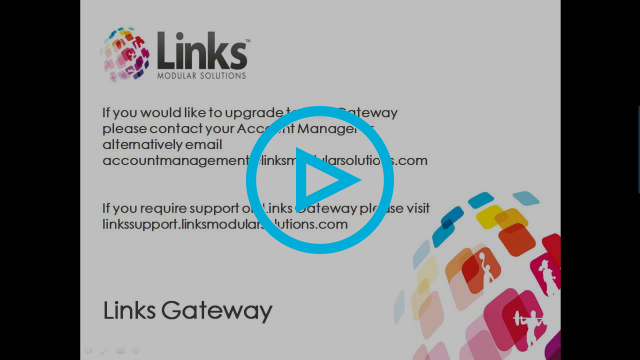 View the video below for a demonstration of the LinksGateway solution.